BOOKMEETINGROOM.COM online meeting manager software is an easy to use group calendar / diary application for scheduling meeting rooms, booking meeting rooms and managing shared resources. Use BOOKMEETINGROOM.COM to schedule conference rooms, schedule board meetings, reserve rooms, schedule resources, book audio visual equipment, schedule classrooms, manage parking spaces, schedule rental cars, reserve drivers, schedule interviews, instructors, lectures and even manage rooms in Gyms, soccer pitches, tennis and squash courts. BOOKMEETINGROOM.COM can be used to manage a wide range of resource reservation uses. BOOKMEETINGROOM.COM room management software requires no installation, takes two minutes to set-up, is easy to use and administer right from within your Internet browser. Using BOOKMEETINGROOM.COM staff will be able to view availability and book meeting rooms across multiple locations in real time from any location. - Unlimited Repeat Booking entry and deletion. Easy set-up - No Software to download, No software to install, no additional hardware required. Use straight from your browser. Setup typically takes five minutes. 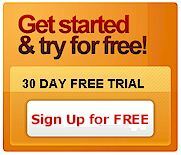 With a 30-Day free trial you can evaluate the software without any financial commitment. Easy to use - Start managing shared resources immediately using our easy to use drag & drop Web 2.0 interface. Select a date, select an available time slot and click on it to book. Power in measure - The deceptively simple interface overlays a powerful database backed scheduling application with sophisticated administration controls and reporting capability. Affordable - No large upfront capital cost. Inexpensive monthly subscription calculated from resources managed. Fully user configurable to suit individual requirements. No cancellation fees. Free Updates - All improvements and new features are rolled out to all users as they happen. No maintenance or upgrading required. This software service is fully supported and maintained for all customers as part of the services at no extra cost. Shareable - Share your booking diary across all networks and over the Internet if required. Reliable - Service available 24/7 365 days per year, delivered from a tier 1 data centre on high bandwidth connection and redundant/scalable hardware platforms. Security - Using SSL and IP filtering your data is encrypted and secure and by using administration controls you can restrict who can edit bookings, who can book certain resources and who can access the configuration tools. Platform Independence - BOOKMEETINGROOM can be used on any computer that has an Internet browser and is connected to the Internet regardless of manufacturer or operating system.